While there are other more popular vacation destinations, it is hard for many large cities to argue that they offer scenery that is more beautiful than what the city of Seattle has to offer. Seattle sits in the beautiful Pacific Northwest, right on the waters of Puget Sound, and is a true hidden gem in terms of it being a vacation destination. The city offers recreational fun, events and celebrations, unique shopping and dining options, and many incredible experiences to everyone lucky enough to seek it out as the destination of their next vacation. 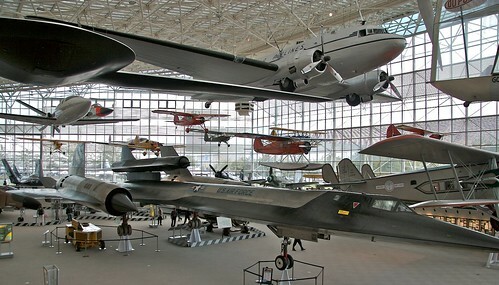 Established in 1965 and located just outside the city of Seattle in the community of Tukwilla, the Museum of Flight sits on Boeing Field and is one of the more interesting museums to visit in the Seattle area. Seattle has a long history tied to the history of flight, thanks in no small part to the Boeing company having been found there. On the grounds of the museum are more than eighty historically significant aircraft and many exhibits and structures including the Red Barn, which is the original Boeing manufacturing plant and has been placed on the list of National Historic Places. The museum not only contains hard to find actual aircraft available for public viewing, but also many prototypes that the general public never saw during their original construction and research. The Museum of Flight will interest anyone with a curiosity towards the history of flight, military history, or the history of Seattle. A visit to the Pacific Science Center is the perfect choice for any family who has come to Seattle. There are plenty of exhibits targeted at both adults and children to keep everyone on the trip interested and entertained for the entire time spent there. The museum offers a great many interactive exhibits for children to dive into and learn by touching. 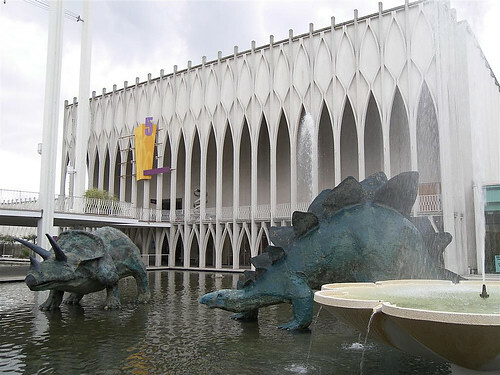 There is also a Starlab Planetarium, a Volcano Watch exhibit, and an IMAX theater located at the Pacific Science Center and all are geared directly at both educating and entertaining those that walk through their doors. For smaller children, there is a playground available which is a great way for them to burn off some pent up energy. Visiting the Pacific Science Center is the perfect way for a family on vacation to have an incredible learning experience and not even realize they are learning. Spectator Sports Seattle has a surprisingly vibrant sports, scene and visitors to the city with any interest in sports should take full advantage of what is there. Safeco Field is home to the Seattle Mariners of Major League Baseball and is routinely rated as one of the nicer stadiums in professional baseball. Adjacent to that sits Qwest Field, home of the Seattle Seahawks who have played in the city since the mid-1970s. The University of Washington is also located in Seattle, with its campus located within an easy drive of the downtown area. The University, or UW as it is known, offers a great many sporting programs that have a huge fan following in the community. Seattle is also home to the Seattle Storm of the WNBA, the Seattle Thunderbirds hockey club of the WHL, and the Seattle Sounders FC of Major League Soccer. Enjoying team sports in Seattle is easy to do, and regardless of what season a traveler comes to the area there should always be an option for them to take advantage of. From the statue of Vladimir Lenin to the vegetarian cafes, there is nothing mainstream or normal about Seattle's popular Fremont District. The area is home to a great example of the city's alternative lifestyle, which is in some ways abundant. There are organic eateries, coffee houses, bookstores, and interesting and unique shops throughout the area. The Fremont District is the perfect destination for anyone with an interest in the many alternative things it offers, but it is also a fun walk for anyone looking to just see and experience a different side of Seattle, and urban life in general. 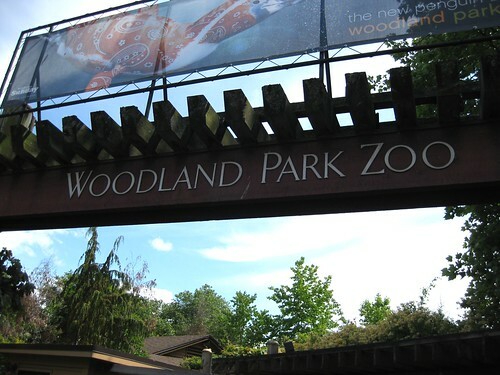 One of the finer zoos on the West Coast, Woodland Park Zoo sits in the Green Lake neighborhood of Seattle and covers more than 90 acres of park land with wonderful exhibits of animals both indigenous to the Pacific Northwest as well as from around the world. The Woodland Park Zoo is notable as one of the creators of what has become known as an immersion exhibit, meaning an exhibit of animals that appears to resemble that animal's natural habitat as closely as possible. The zoo has a number of separate areas where animals that are often found to live near each other in the wild are housed. The Tropical Asia exhibit consists of the Elephant Forest and the Trail of Vines that show off many species found in the more tropical regions of Asia. The Northern Trail exhibit offers visitors the opportunity to view animals found in the more northern regions of the world, included in this exhibit are most of the park's animals that are native to the Pacific Northwest. The African Savanna exhibit features giraffes, gazelles, ostriches, zebras, and more and does a perfect job of recreating what life on an African Savanna would appear like. The Temperate Forest exhibit includes a marshland and bird sanctuary that features more than fifty different kinds of birds. The Australasia exhibit is the smallest immersion area in the zoo and is home to kangaroos, a snow leopard, kookaburras, and more than one hundred parrots. A visit to Woodland Park Zoo is the perfect way to top off a trip to Seattle, visitors going there should be careful though because the zoo is big enough that it can sometimes be hard to take everything in over the course of just one day. One of the classic Seattle attractions is still one of the most fun to see and experience. Pike Place Market is a Seattle institution. The market is an open air, but still sheltered, opportunity to see the wares being sold by a number of vendors. Visitors coming there can see and purchase a number of things including fresh seafood, fresh vegetables, imported crafts, homemade items, and more. There are even a number of truly unique and original stores located in the lower levels of the market building for visitors to explore. One of the most visually recognizable landmarks in Seattle is the Space Needle which was originally built as part of the 1962 World's Fair. The Space Needle is over 600 feet tall and the views that can be had from the observation platform and the restaurant of the Seattle skyline, Puget Sound, and the Cascade Mountains are simply fabulous. Washington State operates the largest fleet of ferries in the United States. These ships take visitors traveling by foot, bike, or car to a variety of locations all around Puget Sound. They are also a great way to see the city and the surrounding area from a location that many people never go to, the water of Puget Sound. Some of the locations that can be visited by simply taking a ride on one of the Washington State Ferries include Bremerton, Port Townsend, Whidbey Island, and even the Canadian city of Victoria located on Vancouver Island. Sitting on Seattle's Pier 59 right on the Elliot Bay waterfront is the Seattle Aquarium. The aquarium opened in 1977 and since then has been one of the top attractions in the popular waterfront area. The aquarium imparts a great amount of information about the ecosystems that make up Puget Sound, and there are a number of hands-on exhibits where children and adults can both actually touch and feel some of the actual marine life that lives just off of Seattle's shoreline. Among other species, the Seattle Aquarium features sea otters, rockfish, salmon, sea anemones, and much more. Travel to Seattle, use a service like cheaptickets or expedia for the best rates. Use a cheaptickets promotional code for additional savings. Expedia also has great deals and often an expedia vacation coupon code can really help visitors save substantially. Seattle is one of the most physically beautiful cities in the entire United States, with both the water of Puget Sound and the Olympic and Cascade Mountain Ranges serving as a backdrop for nearly everything that goes on in the city. Seattle also has the unique ability to offer something fun and exciting to do for almost every visitor that comes its way regardless of their interests or background. A visit to Seattle is a great choice for anyone planning a vacation, and something that will never be regretted.